Go ahead! You know you want to squeeze these buns. And you should! Lettuce wraps are awesome, but nothing beats a squeeze-happy burger bun. 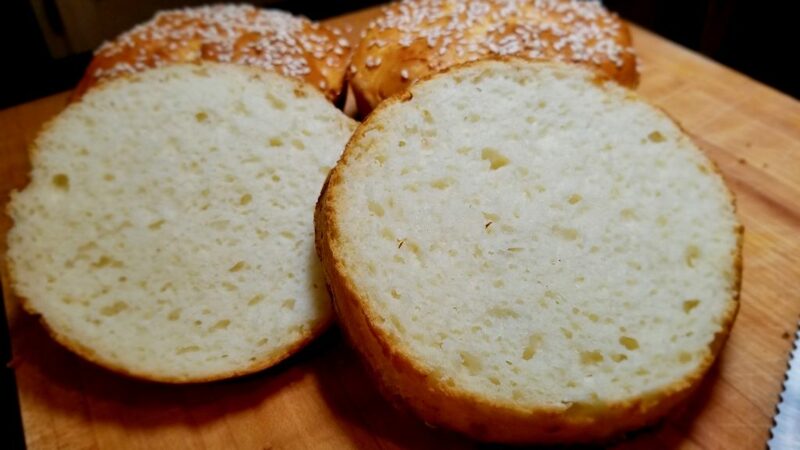 Our gluten free burger buns are sturdy but soft, and irresistibly squeezable. 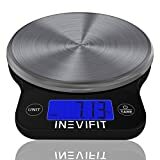 They hold up to the thickest, juiciest burgers, yet the interior remains tender and moist to the bite. No mushy, fall apart, sorry-you-ever-set-eyes-on-them, dry as dirt, buns. You are going to love these! 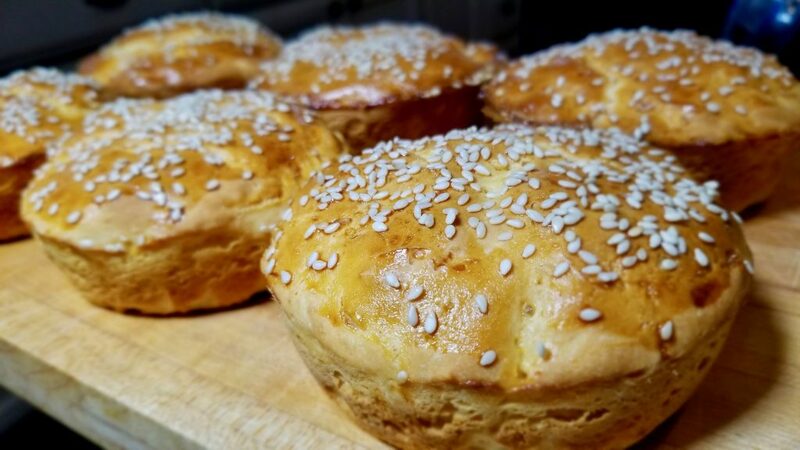 The best burger buns are easy to make burger buns. 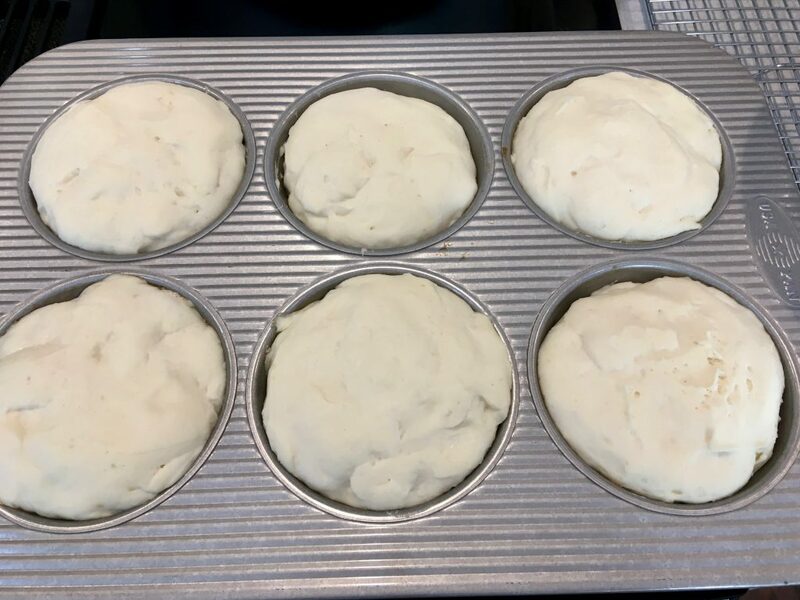 Mix up the batter, spoon dough into bun wells, allow buns to rise, bake and enjoy! This recipe is fuss free. 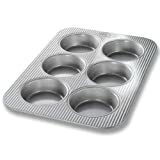 Especially if you use the USA Pan Mini Cake Pan, which I lovingly refer to as the Perfect Buns pan. 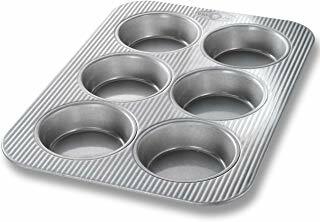 Our burger buns bake up beautifully every time using this pan. It’s a great investment! We keep a bin of Flour Farm GF Bread Blend in the pantry so that we are ready to go when the grill beckons. Click on the link to view the complete recipe page. Alternatively, whisk up the ingredients listed below and store in an air-tight container for up to 6 months. The bread flour blend creates light, fluffy burger buns without compromising structure. An important note: this recipe successfully uses our Flour Farm GF Bread Blend recipe with our Flour Farm Organic Gluten Free Flour Blend. 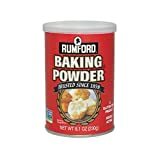 The regular flour blend is found online at Amazon.com, Azure Standard or in a few local grocery stores. If you choose to make this with other flour blends, please know that your results may differ. Recipe Inspiration: The grill, of course! Oh- and a little help from Goop. 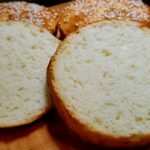 We adapted their Easiest Gluten Free Buns recipe. Thank you! Step 1: Add cane sugar to the warmed milk. Stir to dissolve and add yeast. Stir and set aside. Step 2: Whisk together dry ingredients in a large bowl or bowl attached to a stand mixer. Step 3: In a small bowl or measuring cup, whisk together the melted and cooled butter, vinegar, egg and egg white. Step 4: Add the milk/yeast mix and the butter mix to the bowl and blend on medium speed for about 2 minutes. Scrape down sides of bowl and stir to integrate. 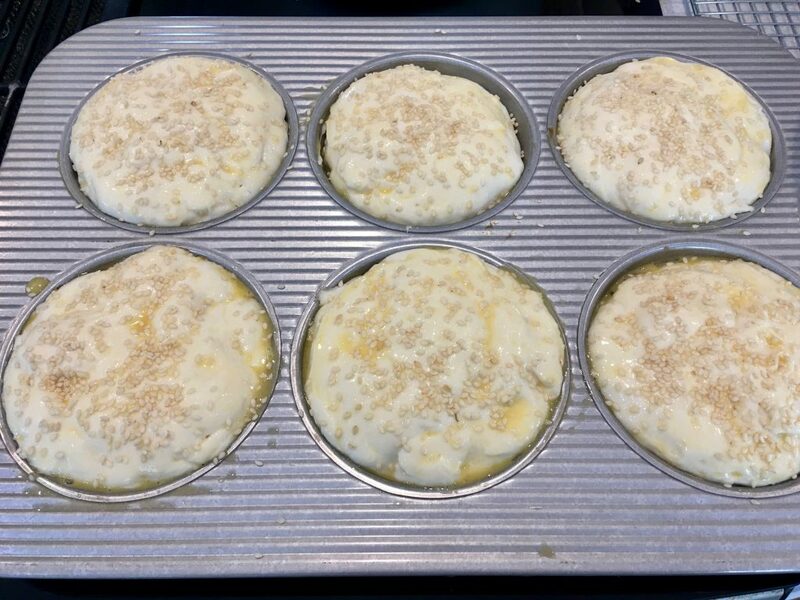 Step 5: Spoon batter evenly into 6 mini-cake wells. Cover with unbleached parchment, a tea towel or cling wrap and allow buns to rise in a warm place for about 1 hour. Buns should rise to be about even with the top of the pan. Step 6: Brush each bun with egg wash and sprinkle with sesame seeds. Place in the middle of a preheated oven and bake for 40-45 minutes. A toothpick inserted in the center should come out clean, and the tops should appear golden brown. Step 7: Remove from the oven and cool in the pan for a few minutes. Transfer buns to a cooling rack and allow to cool for about an hour before cutting in half. Buns will stay fresh for up to two days (uncut) in an airtight container or freeze for up to a month. The nutrition information provided below is for the recipe as written using the dairy version of the Flour Farm GF Bread Flour Blend, organic salted butter, and sesame seeds. Each bun weighs approximately 145g (5oz).